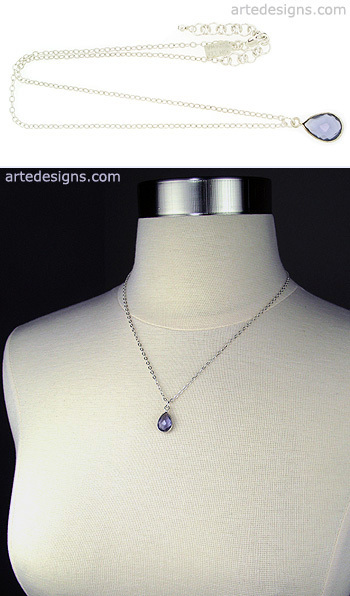 Rich in color and full of sparkle, this gorgeous faceted iolite is bezel set in sterling silver. Iolite gems are believed to help create a higher awareness level and are believed to help the wearer seek truth, simplicity, imagery, and peace. No 2 are alike. Pendant is approximately 3/4 inch high. Adjustable 16 - 18 inch sterling silver chain with a sterling silver lobster clasp.